Retired couple with SPCA volunteer experience. Hi..my name is Sue. My husband and I are a retired couple in our early sixties. We are originally from Christchurch but now live in Little Kaiteriteri, a beautiful spot bordering the Abel Tasman Park at the top of the South Island of New Zealand. We have family including two adult daughters and two teenage granddaughters living in Brisbane so we visit Australia regularly. We have had many cats and dogs as pets over the years, sadly our last dog passed away in 2014 aged 14. As we want to spend more time travelling we decided not to have more pets of our own and applied to volunteer for the Christchurch SPCA and now volunteer for the Nelson SPCA. We have been lucky to have fostered many cats and kittens and also drive to Nelson to walk, train and help socialise the shelter dogs when we are in New Zealand. We have also helped transport puppies from Nelson to Christchurch when the Nelson branch became overcrowded. Our main reason for wanting to house sit is our love of all animals. We enjoy the company of cats and dogs in particular and enjoy the challenge of winning their trust. Our work with SPCA is very rewarding but can also be heartbreaking. Spending a few weeks with more privileged pets who may also be rescue animals is very therapeutic and prepares us to return to helping the less fortunate ones. We have cared for family pets for many years when required and have completed a three week sit in Brisbane where we cared for a Border Collie and an Australian Cattle dog. 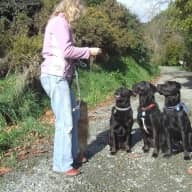 We have just completed a sit in New Zealand,this time taking care of a Labrador, a Fox Terrier and a cat. That was followed by another sit in Brisbane, this time caring for a one year old Tenterfield Terrier. We followed that by taking care of a German Shepherd and a Doberman for family friends, again in Brisbane. 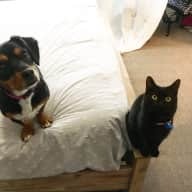 We spent Christmas in Brisbane caring for a young King Charles Cavelier dog and a rescue cat. Sue and Paul were fantastic house sitters. We were able to meet them before the sit. they are lovely people and kept the house in an immaculate condition. Maggie our dog was extremely well looked after with lots of cuddles which Maggie adores. There was a minor health issue which Sue and Paul resolved without any problem. They were friendly to our neighbours and genuinely enjoyed themselves in our house. They took Maggie for walks twice a day and gave her plenty of stimulation. They cut our grass, trimmed the edges, cleaned the car, and generally left the house in a spotless condition. I would not hesitate in recommending them to anyone. They are fantastic. I just downloaded the Trusted Housesitters app to my phone and saw the wonderful reference you left for Paul and I. Thank you so much. Hope you are all well and Puss is behaving. 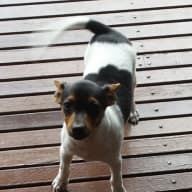 We are in Brisbane looking after a one year old Tenterfield terrier called Maggie. She is a lot like Lilli, very cuddly and loves her walks along the banks of the Brisbane river. Sue came to our house for three weeks with her husband Paul. We have two dogs who are exceptionally special to us and this was the first time we had left the dogs with anyone apart from my parents for more than an overnight. 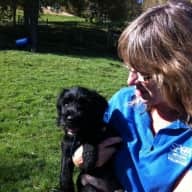 With the pre-planning of the dogs care being exceptional our minds were definitely put at ease in addition to the high level of experience both Sue and Paul have through their volunteer work with the RSPCA in NZ. Sue and Paul arrived and asked many questions regarding the care of both the dogs and our house and took lots of notes, again making me feel more at ease with their conciensiousness. During our trip we were updated with emails and photographs of how the dogs were doing which again was a great way to keep us informed. On our return the house and car were immaculate, and even the grass in our large yard was cut prefectly! We were very impressed with Sue and Paul and have complete trust in them; the dogs love of them concluded that all of their time spent here had been much appreciated and enjoyed. 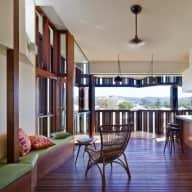 We would not hesitate to recommend Sue and Paul as house sitters / dog sitters and we are already planning our next trip away now that we have people we can trust implicitly. Sue and Paul have been volunteers with us at the Nelson SPCA since June 2016. During that time they have helped with all aspects of dog care; exercising, training, cleaning and feeding. They have also fostered several litters of kittens for us, and have acted as "pet taxi' when we have needed animals to be relocated. I consider them reliable, conscientious, responsible and completely trustworthy. They have a genuine love for animals, and always show the utmost care for any they are asked to help look after. I would have no hesitation entrusting my own house and pets to them. 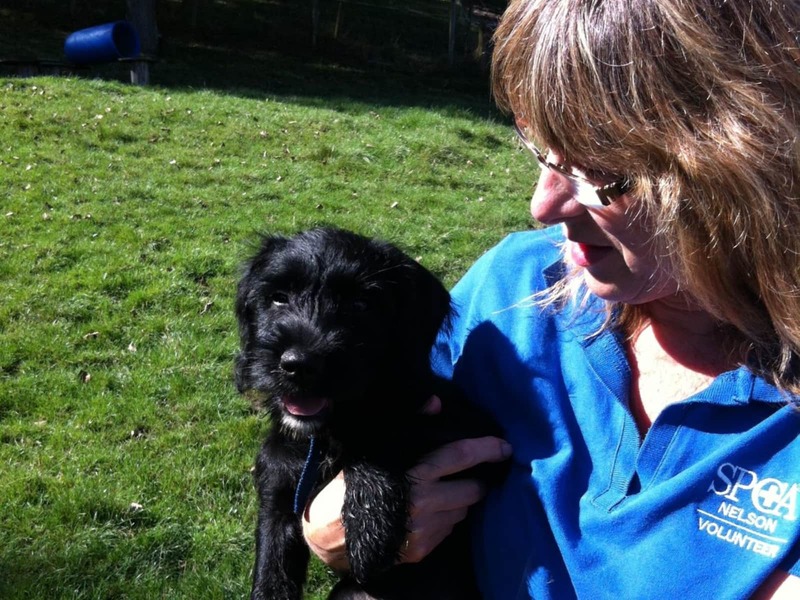 I have no hesitation recommending Sue to look after your home and care for your pet's. I have known them for a long time on both a business and personal basis. They are both very tidy, organised and concientious . Sue and Paul are both active volunteers of the SPCA Fostering cats, kittens and walking dogs. Very caring animal people.